I thought I might put this stamp away for a few months, but tonight’s and tomorrow’s weather forecast had me pulling it out again to send to a friend! And that’s ok, because it’s adorable! 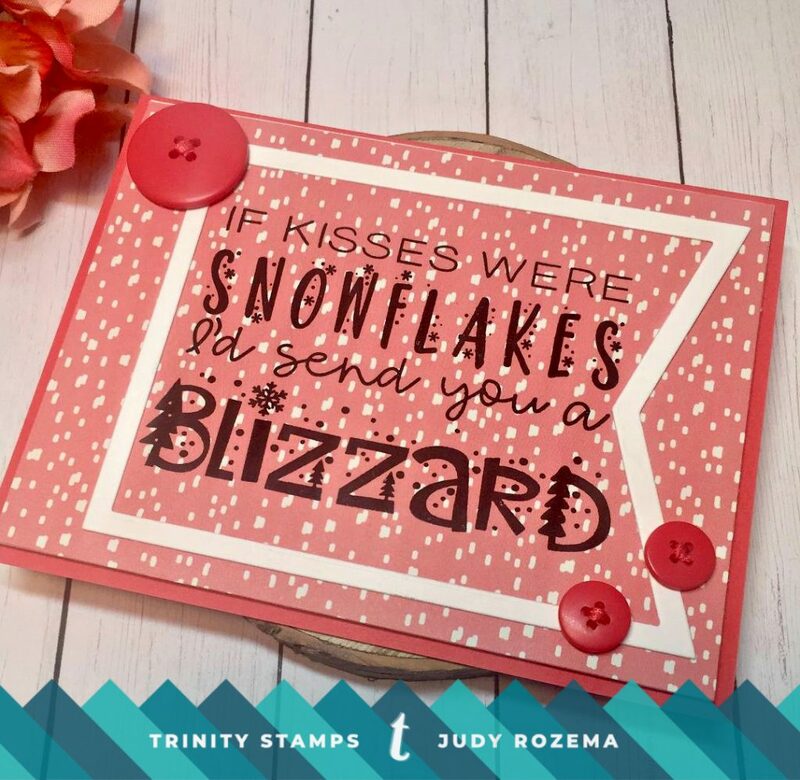 I am using Snowflake Kisses and combining it with some cute spring colored paper that looks like it’s snowing! I framed it with a banner, and added some cute buttons for embellishments. Hopefully most of the next “bomb cyclone” will miss us in the plains, but if not, I’m ready with a spring storm greeting! Very sweet, love the red!